Serving the Aftermarket with the Highest Quality Standards and Parts WAI’s long-standing commitment to safety and quality has helped make it the preferred parts manufacturer to the aftermarket industry. Key to WAI’s success is its extensive global staff of design engineers, supplier quality engineers, customer quality and technical support engineers. Together, this team ensures that all products are engineered and produced to meet/exceed O.E.M specifications. 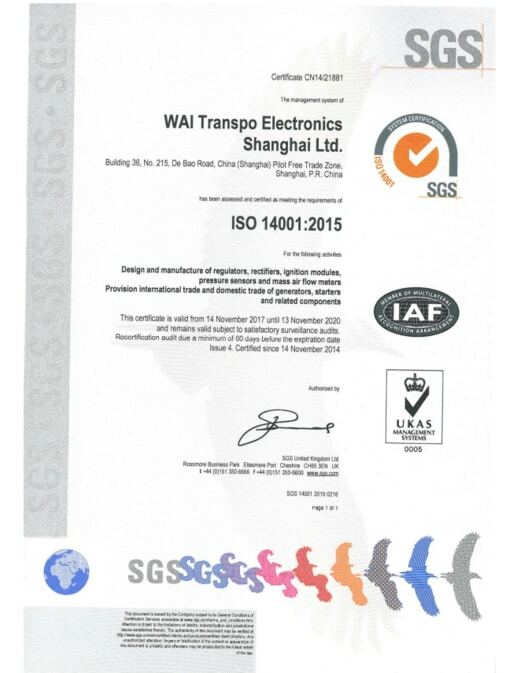 WAI is ISO 9001, TS 16949, and ISO 14001 certified and all products undergo stringent validation prior to being released to the aftermarket.